Connectivity is a path to greater opportunity. In today’s world, broadband and fluency with technology fuel economic growth, provide access to the world’s knowledge, promote skill development, and build stronger and more connected communities. 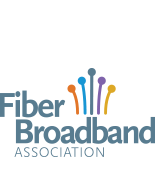 The FTTH Council applauds the Broadband Opportunity Council on their action plan for the Federal government to expand broadband access in the United States.